We live in an age when photography is more accessible than it has ever been. Not so long ago, portraits were a rarity, an hours-long event that a person might experience just once or twice in his life. Within the span of a century, technology has changed this so dramatically that powerful photography equipment can be carried in your pocket, and it's possible to take a photograph of anything from your reflection in the mirror to what you've had for dinner and share it instantaneously with the world. It's a landscape that photographers a few generations ago could have never imagined, and it's a little dizzying to behold. Aside from the accessibility of cameras themselves, a budding photographer also has access to myriad photo editing programs and apps. Mashing a few buttons or swiping between screens can now accomplish what once required hours of exacting work in a dark room. When taking, storing, editing and sharing photographs is so simple, is there any room left for professionals? Is there still value in taking photography courses, such as the ones on offer here? The short answer is yes; if anything, there are many new opportunities for creative professionals today than ever. Every professional knows that the best technology is worth nothing in the hands of someone who doesn't know how to use it. Photography is no different. Although a layperson might think taking a photo is as simple as pointing, auto-focusing, and snapping the picture, professionals know that more goes into every shot. Photography courses can teach things like composition and color theory, the skills that make up the backbone of visual arts, and a natural eye for the perfect visual can be cultivated into a valuable skill. The demand for high-quality, interesting visuals is higher than ever. Images are the backbone of viral news sites, and designers creating book covers, websites, advertisements and more seek them after. More than that, truly great photography stands out in the crowd. With so any amateur snapshots crowding the Internet, people have a better appreciation for the magic a professional can work with a camera. Weddings, pets, children; People hire photographers to capture these images because they cannot do justice to the subject themselves, no matter how many apps they download. When you look at it this way, it becomes clear that the modern photographer doesn't just record moments in time. He's an artist, and his most valuable and marketable skill is his unique artistic vision and ability to communicate through captured images. While snapshots might be cheap and numerous, excellent photography is every bit as valuable as it's ever been. 1. Hone your craft. Even if you're already professionally taught, you might benefit from a few photography courses or workshops to help you discover more about your craft and master techniques that you hadn’t even considered dabbling with previously. If you're self-taught, this might be the perfect time to pursue a more formal education that can help you understand what it takes to stand out from the other hobbyists and amateurs. 2. Don't be afraid to go niche. 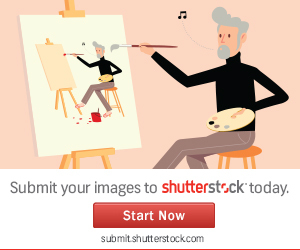 It's no surprise that stock photography is a big business on the web, but most stock photos are soulless and dull. If you're willing to create something new and different and offer it to other creative professionals, like cover design artists, you're bound to hit on a niche that hasn't yet been exploited. Communicate with designers and others who frequently need photography to see what they're looking for, and find a way to provide it. 3. Market yourself as an artist. Too often, commercial photography is treated as a technical skill. While it certainly requires technical prowess, it's every bit as much of an artistic endeavor as painting. Create a unique visual style for yourself and use it as a signature. Display your work proudly and sell prints that people would be happy to have on their wall. 4. Don't undervalue your work. Artists willing to work for free or at reduced prices quickly devalue their own work. Set reasonable prices and stay firm. Deliver a quality product. If your work is high enough quality, the price will be a secondary consideration: Buyers will find the money to pay for something they need if they're confident it's the best they can get. Whether you're a new student taking his first photography courses or a veteran trying to find a path through the ever-changing landscape of new technology, there's no reason to despair about the future of photography. Things may be different these days, but those changes might be exactly what you need to breathe fresh life into your career and photography in general.